Fluff Magazine is a web-based lifestyle publication filled with enticing content that fulfills infatuations with luxury, high fashion and progressive culture. With New York, Los Angeles, Atlanta, Houston, Miami, Dallas, Washington DC and Chicago based contributors, Fluff aims to capture the lifestyles of global movers & shakers who love to share their inspirations, aspirations & great taste! Fluff is NOT superfluous, padded, cuddly or sugar coated; Fluff IS posh, fulfilling, high brow and striking. Check out these amazing shots of Charli Baltimore and her gorgeous daughters; models Sianni Love and India Christin on the rooftop of the California Market Center in Downtown Los Angeles, Trea Day Management, BMB Entertainment and Synergy7 brought together a team of the industry's baddest creative and GLAM God's to capture their evolved beauty and showcase their individuality! Charli Baltimore is currently working on her new album ETHOS on BMB Records. All three lovely ladies are pictured wearing Indique Hair from the SEA and Hysteria collections! Kimberly Snyder, author of the New York Times Best Seller, “The Beauty Detox Foods and The Beauty Detox Solution,” believes that you should “eat your beauty.” She recently just got back from her honeymoon where she learned some new recipes and nutrition secrets from the jungle that she shared on The Queen Latifah Show. Here is one of her popular recipes known as the Gorilla Shake. The name and recipe was inspired by Snyder’s gorilla trek in the volcanic mountains of northern Rwanda, where she had the opportunity to be close up with the gorillas on foot. Pour 1 1/2 cups cubed watermelon, 1 cup tequila, 1/2 cup each lime juice and orange liqueur, 1 to 2 tablespoons confectioners' sugar, 1/2 teaspoon salt and 3 cups ice in a blender. Divide among glasses and garnish with lime and watermelon. 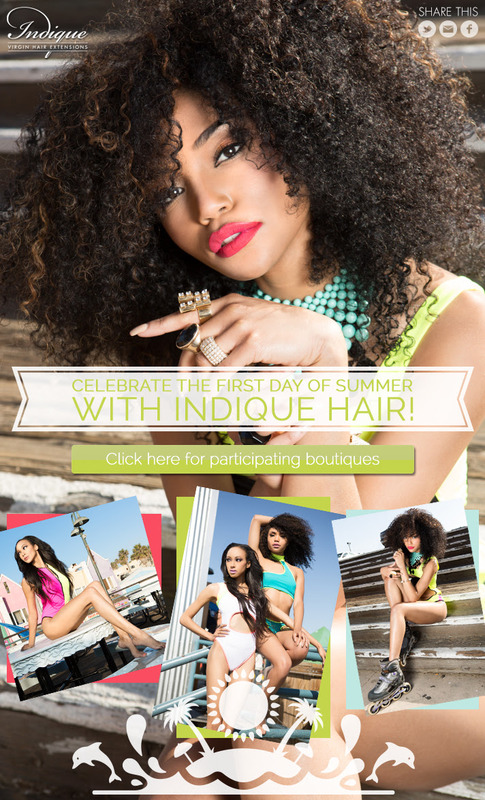 Celebrate the First Day of Summer with Indique! Orange is the New Black Season 2! We're so excited about the premier of Season 2 of Orange is the New Black! If you're as big of a fan as we are, you'll be just as excited to see this sneak preview of the first episode. All 13 episodes will be available to stream at launch in all territories where Netflix is available. You may even catch some Indique Hair on the cast! Last month Agai Jones, Director of Indique's Sub-Saharan division, had the pleasure of discussing the commercialization of the hair industry on Insight for Living in South Africa. Insight for Living is an award-winning weekly talk show hosted by Zandi Makula that sheds light on every day issues and provides practical solutions from a Christian standpoint. Check out some of these photos from the show! Today at Indique Philadephia there were tons of lights, cameras, (ok well only one camera) and action as we filmed a Beauty & Style Guide to help everyone prepare for a look that's fit for a good festival time! Philadelphia's Indique Pro Stylist, Kia Sterling, demonstrated how easy it is to achieve BIG and fun hair using her favorite texture Bounce Coil Curl. Stay on the look out for the video at the boutique on 1607 South Street, Phila, PA 19146 once it goes live! Just in case you haven't been able to stop by one of our boutiques or check out our Instagram page, here's a quick recap of what you've missed so far this month and what else we have in store! We joined in on all of the fun in NYC at the International Beauty Show, demonstrating live installs on our beautiful models, including Tracy G from Sway in the Morning and Niki McGloster from Hypehair.com! We started our It's Natural campaign with a bang! 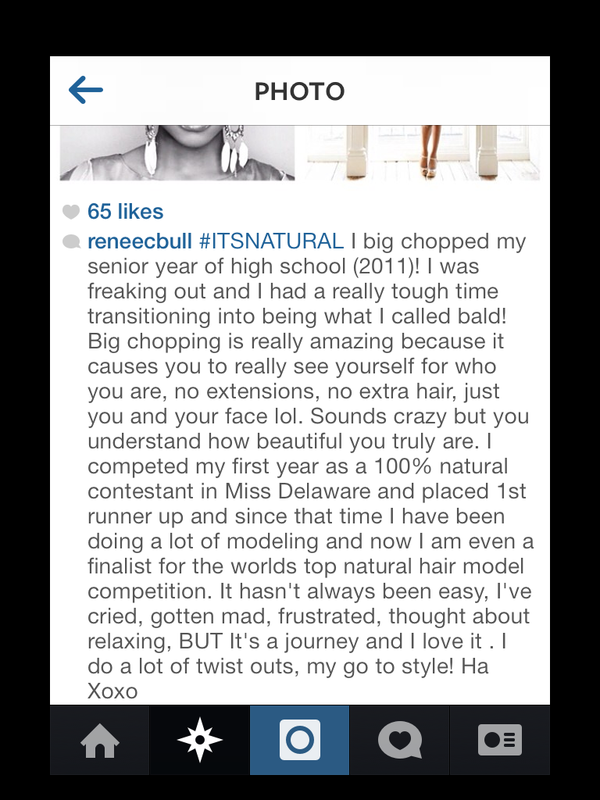 We hosted our social media contest where followers were able to share their natural hair stories for a chance to win two tubes of Indique hair! The LUCKY winner was announced on St. Patrick's Day! We also held our first ever Curlfriends beauty extravaganza at Indique Silver Spring. Our amazing host, YouTube personality and vlogger, Naptural Nicole talked all things natural hair with all of our "curlfriends" who attended while they enjoyed drinks and light refreshments. We also raffled off a tube of hair! 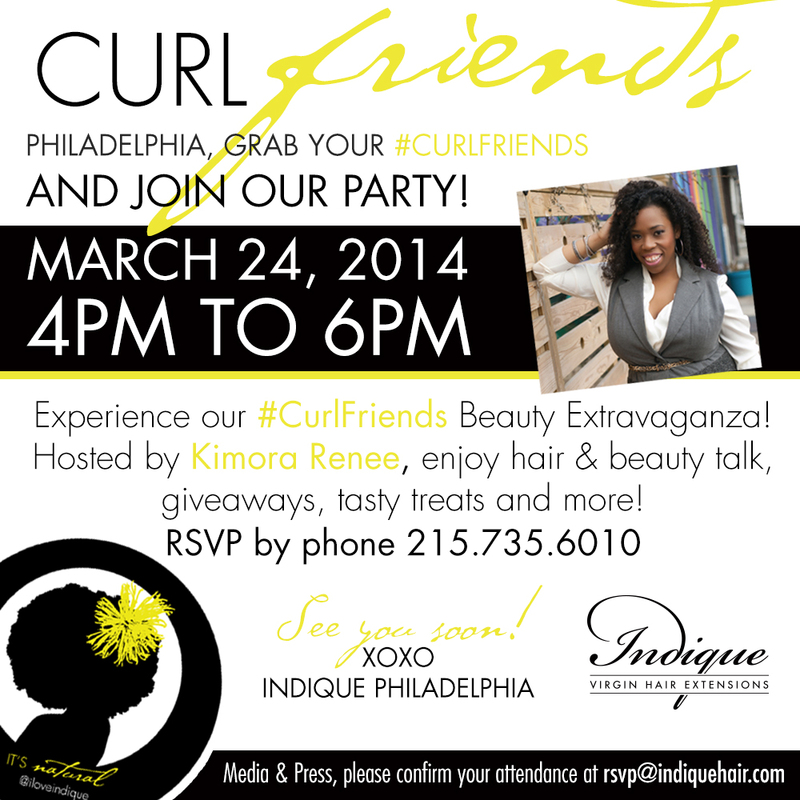 This event will be held at a few of other boutiques so keep a look out for details on a Curlfriends event near you! For our stylists we also have our Pro Education Series, where our Indique Pros teach and demonstrate hair weaving techniques on live models. Our upcoming sessions will be taking place in Boston and Houston. Last but not least, we have our Product of the Month promotion. In honor of all of our curly girls, BOUNCE Organic Curl 14" is 15% of for the entire month of March! To experience the most enjoyable life possible, it is important that we stay active. One of the best and most efficient ways of doing this is by running. Many times, however, we avoid running because we don’t want the sweat to interfere with our hair. You don’t have to sacrifice style for fitness! Pull your hair back in a pony tail during exercise to keep salt in your sweat from depositing and drying out your style. After you shower and are dry, let you hair down and allow any moisture to evaporate. Most importantly, wash your hair to remove any build up that you may have obtained during the week! If this winter weather has you in a funk, it might be time to book a vacation. The hot sun, cool breeze and effortless wash and go styles are all just a flight away. Here are a few tropical destinations and hair that will be perfect to wear on your well deserved vacation. 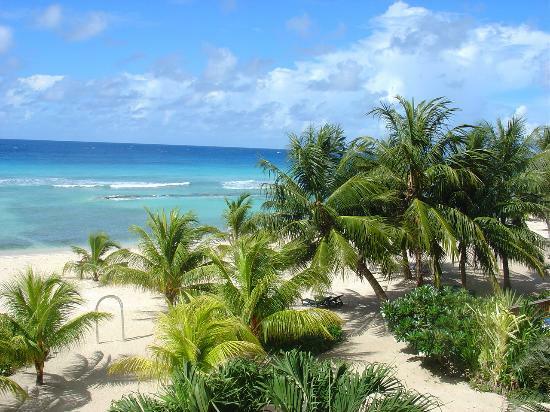 When we think about Barbados we think about fun festivals, the pretty blue Caribbean sea and white sand. This is the perfect place to unwind. Wear something big, beautiful and bold like our BOUNCE Deep Wave hair. It has the perfect curl pattern. You can go to the beach and leave with the same curls you came with. Fluff it out when it dries for that big hair look that we love so much. You can spend your time snorkeling and seeing all of the beautiful sea life or spend your time on land in front of the volcanoes (it's a sight to see). Sea Tahitian Curl will work well in Bali. No need to pack the curling irons and flat irons. Wear this wavy hair throughout your vacation. 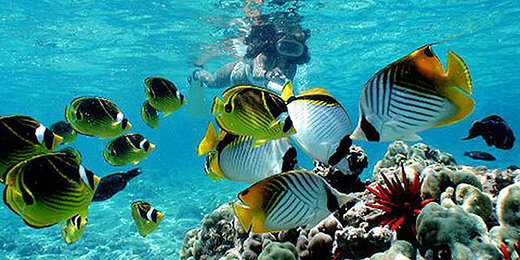 After snorkeling you'll look like a beautiful mermaid parading out of the sea. Enjoy a beautiful sunset over the Indian Ocean, have some fun doing water sports or go on an excursion. Whatever you do, wear your Pure Curly hair. The tighter curls are perfect to wear for your water activities during the day and easy to straighten for a late night stroll on the beach and dinner with a few friends. Are you looking for a way to wind down after your long, hard day at work. Join AllThingsSass.com and Fun With Friends NYC tonight from 6pm -12am at 739 Franklin Ave. Bar and Lounge! Enjoy free manicures, massages, cupcakes and Sass bags!! Don’t miss out on an opportunity to network, have fun and most of all be SASSY! Nicole Garner & Shanti Das Present... Candid Conversations with Female Entrepreneurs! 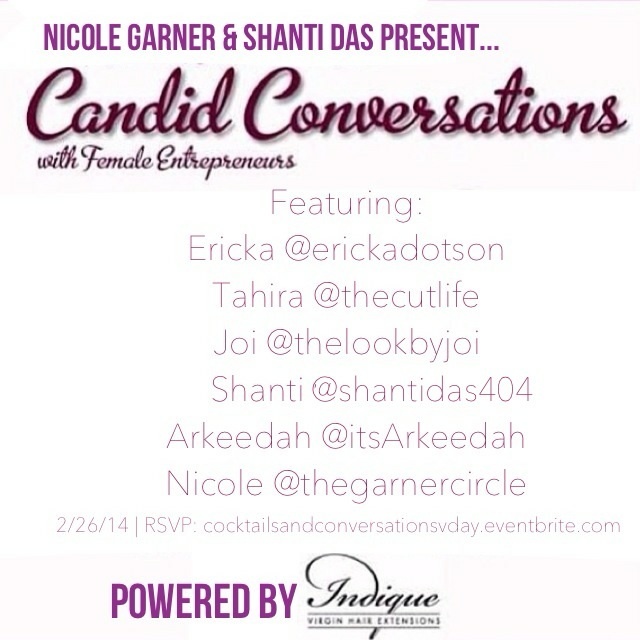 Candid Conversations with Female Entrepreneurs returns 2/26/14 at Indique Atlanta! The African American Art Museum will be packed with professionals and artists from around the city for a night of art, fashion, and music! With a photography exhibit by Ricky Codio and a fashion showcase featuring Mah Jing Wong, Marquette Collection, and Christopher J. Brown, the night will over flow with creative minds!